"Making sacred images co-creates reality and feeds into the soul and web of life..." explains visual artist, author, and shamanic practitioner, Faith Nolton. "Making paintings with sacred intention one has a foot in both everyday reality [the act of painting or drawing] and the spirit worlds [trance state]. Keeping a balance between the two is where the point of creation lies." This is what makes sacred art sacred. The act of creating sacred art is an ancient and honored shamanic practice. Join us this week as Faith, shares her forthcoming book "Gardens of the Soul: Making Sacred and Shamanic Art" and the whys and hows of making sacred art whether you can draw or not. Pictures and symbols speak to our consciousness beyond the busy mind allowing sacred art to function as healings, blessings, or connection to the spirit world. Join host and shaman, Christina Pratt, in this first episode of the new WSN series, Art and Shamanism. Faith Nolton was born in London, and trained in Fine Art and Sculpture at Liverpool College of Art and in art teaching at Liverpool John Moores University. Since then she has made a lifelong exploration of spiritual creativity, perception, healing, sacred and tribal art and shamanism. Personally Faith found a path with the Medicine Wheel traditions, with Leo Rutherford of Eagle's Wing in the UK, and in shamanism with Jonathan Horwitz of the Scandinavian Centre of Shamanic Studies, in Sweden. Faith lives in West Wales, painting her soul travels and sharing shamanic/creative ways of living with individuals and small groups. She has been a shamanic healer, soul counselor and 'gardener', mother, illustrator, art teacher, editor and writer. She was illustrator for Link Up magazine and author/illustrator of 'Easy-to-Use Shamanism'. She founded and for many years was editor of Sacred Hoop Magazine. Faith has now come full circle to return to her painting and gives creative/spiritual guidance sessions and workshops using imagery and sacred art. 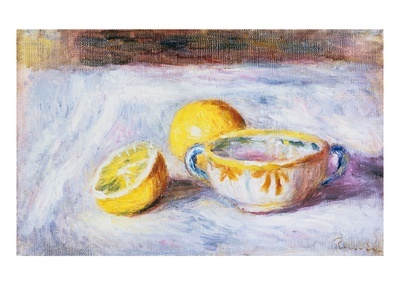 Every so often she has a 'giveaway' of her work via her website, letting the paintings find the homes they wish to go to rather than taking the gallery sales path. CELESTE YARNALL, PH.D. has lived a multifaceted life. Like a handful of other celebrities from the entertainment world, Dr. Yarnall comes to her holistic health expertise, because it is her passion. As an actress Celeste Yarnall was the product that she marketed and therefore being fit and healthy was of paramount importance. You may remember her from 100’s of television commercials, print ads and point of purchase campaigns, or perhaps as an actress, guest-starring on the classic Star Trek episode entitled “The Apple", or perhaps her appearances on "Bonanza" or "Man from Uncle." Celests's lifetime love of nature and all living things which of course includes cats and dogs, caused yet another turning point in her life when she became after devoting over 20 years to this passion, one of the countries leading experts in the world of holistic health care for cats and dogs. Celeste has written 4 books to date on holistic health care for pets with a 5th on its way. Celeste's expertise includes diet and whole food supplementation for both people and pets. She is a Reiki Master as well as a non verbal communication expert and EFT (emotional freedom Technique) practitioner. Celeste is the founder of Celestial Pets Products nutritional supplements which are used in her nutritional protocols designed exclusively for her recipes for dogs and cats and are based on her research and experience raising eleven generations of her own championship, show cats which were all raised on the holistic principles outlined in her books.